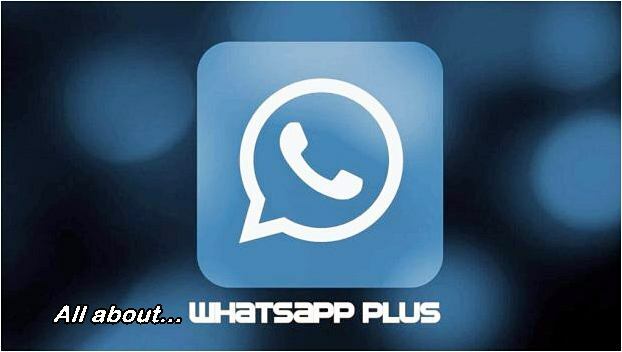 WhatsApp Plus is an application for mobile smart devices that has been developed by XDA Developers (enter here), which is based on the original WhatsApp messaging service. However, your system has several unique features and functions that make it very interesting for most users. The best thing is that this application is totally free. 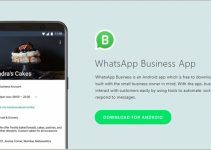 It should be noted that although WhatsApp was bought for a huge sum of money during the year 2015 by Facebook (which is why it joined the Messenger development team), there are always users in Facebook chat who don’t feel comfortable with what the system has to offer and start creating their own versions of WhatsApp mods. Most of these applications, including WhatsApp Plus (or Wasap Plus as many say), can be found on some alternative web pages, or downloaded through an APK file for free. However, most of them are exclusive to Android. Remember that if you prefer the original service, you can always download the application to your mobile device, no matter if you have a mod installed. Since its appearance on the web in 2014, WhatsApp Plus has become very popular around the world, especially in Europe; unfortunately, it is no longer available on the Internet due to copyright issues. Fortunately, this was not a problem for other developers to start creating their own versions of WhatsApp. WhatsApp Plus currently has several million users, who prefer to use this modification of the original application because of its multiple functions and unique features. One of the main factors that make this mod stand out are its improvements, some of these can be seen in its dictionary and self-corrector. Even this application is already available in different languages including Spanish, English, French, Portuguese, Italian, German and even Mandarin Chinese. However, WhatsApp Plus has not been able to achieve an even greater boom because it is not available for any operating system other than Android, unlike the original messaging service. Fortunately, Android WhatsApp Plus has become incredibly popular with Android users. If you want to know a little more about this fun application, then read on because we’ll talk a little bit more about this modification and its multiple benefits. 1 Let’s get started… What is WhatsApp plus? 1.1 Video – What Is WhatsApp Plus? Is WhatsApp Plus Safe? 4 How to download WhatsApp Plus for free? 5 How to install WhatsApp Plus on Android for free? 8.1 How do I uninstall WhatsApp Plus on Android? 9 Get WhatsApp Plus 2019 now! Let’s get started… What is WhatsApp plus? The original WhatsApp Plus mod was a modification of the original WhatsApp system, which even used the same program and had the same kernel, but integrated several functions and offered many possibilities that the original app did not have, giving greater possibilities to customize our user account. 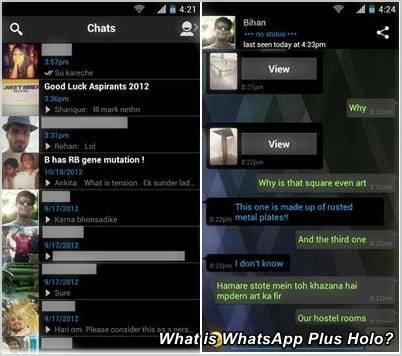 Video – What Is WhatsApp Plus? Is WhatsApp Plus Safe? Some of the most notable improvements in this mod were the great amount of styles and designs that it possessed and the aesthetic modifications that the system allowed us to make. At the same time, it also had some eye-catching technical features that WhatsApp still doesn’t offer today, which attracted the attention of many users. But it didn’t take long for the company developing WhatsApp to push, and take steps such as blocking WhatsApp Plus users from getting this mod off the market. This quickly achieved their goal, which slowed down the first WhatsApp Plus developed in Spain from being paralyzed. 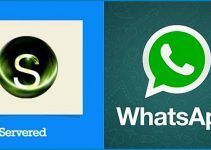 What WhatsApp didn’t expect is that a lot of developers were already making their own mods, one of them is WhatsApp Plus JiMods, an application that has reached a boom in a very short time and that we can download for free through our smartphone or computer. One of the main advantages of this application is its anti-banking filters, which prevent original WhatsApp developers from learning that you are using this mod, eliminating the risk of being detected and blocking your account, which offers greater security. Among the features that stand out most from this WhatsApp-based application are the many original emoticons in this system, and the options to customize our chat screen. But this is not the only feature that can change your appearance to a large extent, as changes can also be applied to our contact list and conversations list. We’ll even be able to change our last connection for more privacy, an option most users of the original application would like to have. There are many other features that make this system totally unique. Next, we will talk about the most outstanding and striking features of this system. This is one of the main reasons why WhatsApp Plus was created, because the original application does not offer us the ability to modify its visual appearance to a large extent. In the meantime, WhatsApp Plus allows us to do this either manually through the Plus menu, or by downloading a theme from the catalog on this mod page. The majority of the themes that we will find in this page are made by the users themselves, these can be very varied among them, since we will be able to find themes based on movies, video games, teams of any sport, cartoons characters, popular places, TV series and anything else. You can change these themes at any time in a very simple way through the app menu. But these are not all of the customization possibilities offered by WhatsApp plus, as we will also find a wide range of colors, font sizes, and transparencies. WhatsApp Plus also stands out thanks to its wide variety of emoticons, some of the users’ favorites are those based on memes or Internet cartoons, including Lol, troll face, yao ming face and forever alone. These can add a funny touch to any conversation. The latest version of WhatsApp Plus included a total of 400 previously unpublished emoticons, totally exclusive to this messaging system. Some of these are even based on Skype emoticons, while others come from Google Hangouts. To use some of them, just use the + button in the conversation menu. If any of your contacts have a very old version of WhatsApp, they may not be able to see WhatsApp Plus’s unique emoticons because of the incompatibility of both systems. It is important to know that, in addition we can download the emoticons that we want through Internet. This is one of the features that have made this mod very popular, the option to freeze the last connection, which allows us to hide the time we last used WhatsApp Plus, without downloading add-in applications like WhatsApp Ghost. However, if we freeze our last connection we won’t be able to see that of other users. The original version of WhatsApp only allows you to send music or video files up to 16 megabytes, greatly restricting the ability to send long-duration files. But with WhatsApp Plus this doesn’t happen, as it has no size limit when sending content. This is not only good for audio and video files, because we can also send images without losing their original quality or size, which usually happens when we use the original WhatsApp version because of the compression that applies to all files sent. WhatsApp Plus developers focused on group discussions in great detail, due to the multitude of options they added to their groups. For example, we can see the profile picture of users who send messages to the group whether they are our contacts or not, so we can identify them more quickly and easily. In addition to being able to see the person’s profile picture, we can also modify their size, which is ideal for the visually impaired. At the same time, we can silence these groups for as long as we want, without time restrictions as in the original application, which only allows us to silence the groups for a period of one year. We’ve talked a lot about the benefits of this WhatsApp-based application, because even though this mod continues to increase its number of followers, the truth is that there are also a lot of people who have started having problems with WhatsApp Plus and haven’t found a way to fix them. This version of WhatsApp Plus is based on version 2.16.310, one of the latest versions of the Google Play Store. Another important feature is that this application cannot be banned, i. e. the official service will not detect the use of this app. Currently we can make calls using this mod, however, video calls are not yet available. We can zoom in on the profile photos of any of our contacts. Or a statistics table for our groups. We can even customize the delivered message ticks. One of the most eye-catching features is the ability to preview received files without downloading them. In addition, we will be able to see if a contact is online or their last connection, regardless of whether our contacts have that option blocked. You can send a total of 90 images in one message. Wasap Plus also allows our state to have a total of 250 characters. When copying messages, we can hide the person’s name and the date we received it. We can also copy and paste the states of other users. One of the most favorable features is the great versatility that it has since it is compatible with zip files, pptx, rtf, ttf, txt, xlsx, vcard, ppt, doc, txt, xls, pdf. We can make calls through our operator without leaving the application, which allows us to save a lot of time. At the same time we can also enjoy a higher speed when sending any file. The main difference between this mod and the original version is that this edition of the system allows to completely change the interface of this messaging service. We will be able to install a large number of themes, which we can download for free through multiple pages available on the Internet. Another reason that both versions are so different is the wide list of emoticons that WhatsApp Plus has, since it integrates very funny memes, which will help us to give a very original touch to our conversations, while WhatsApp offers us a rather limited list. How to download WhatsApp Plus for free? It is important to note that downloading the original WhatsApp Plus application is impossible because it has not been available for several months. But, we will be able to download the WhatsApp Plus JimTech Edition app, which has a 2016 and a 2017 version, which has become very popular thanks to its multiple favorable features. The best option we have to download this mod, is through an APK file an alternative digital page. An important recommendation is to download the application through our computer and then install it on our mobile phone, as many devices do not allow this type of downloads. (Version V6.10 of the official JiMODs. com developer site). If it doesn’t work, try this alternative link to download Whatsapp Plus 2019. One of the best features of WhatsApp Plus is that it allows you to have multiple phone numbers using a single session, so we can use a total of three (3) phone numbers simultaneously. We may even have different usernames and profile photos for each session. How to install WhatsApp Plus on Android for free? In case you want to download WhatsApp Plus directly from your Android phone, then you should be very careful, as sometimes the system crashes automatically. The first thing we need to do is back up the most important chats. We must download the most current version available at. apk, and wait for it to finish downloading. We will go into the system settings and then enter “security settings”, to activate the option of “unknown origins”, which will allow us to install the application downloaded from apk without any inconvenience, as if we were downloading it from Google Play Store. Automatically when the file is finished downloading, we must install manually the program we have downloaded; this happens because the source from where we are downloading the application is not completely official, then we just have to activate our WhatsApp Plus and enter our phone number. Following this series of steps to the letter, we can install WhatsApp Plus on our phone without any problems. Remember, using the alternative virtual pages we can download many beta classification applications, as well as mods based on different apps. It’s very common for some users to find themselves downloading this application on their smartphone, and at some point in the process they get an error that doesn’t allow the application to download or install completely. Sometimes the application doesn’t allow to be installed after we download it, because we may have other official WhatsApp applications that can prevent the installation of this application, such as “Clean Master”, so we must uninstall these applications as well. 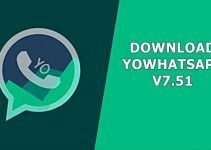 One of the best options available to us if we start having a lot of problems with WhatsApp Plus, is to uninstall this application and download the original application back to our device, because although it is true that WhatsApp Pplus has more options, it is also true that it can be more complicated to install. Banning is one of the most common problems that can occur when installing the app on your mobile device. You should be aware that WhatsApp Plus Android is an unofficial app, which means that it is not available in either the Google Play store or the App Store. What you have to do here, is to enable in your Android mobile device the downloads of “unknown origins”, this way you will be able to install the appo without problems. Another important point to keep in mind is that as an unofficial app, the files and conversations you send through WhatsApp Plus have no guarantee of privacy. If you encounter any problems downloading and installing WhatsApp Plus 2019, we recommend that you follow one of the good tutorials found on YouTube. If you want to uninstall WhatsApp Plus from your smartphone or tablet, in the following lines we will show you the steps to follow in order to do it without any problems for your mobile device, and with the option to install the official version of WhatsApp official later, if you want. WhatsApp Plus, as we have already explained throughout this article, is an unofficial version of the well-known WhatsApp application, which offers you a large number of extra supplements, such as customization, appearance, privacy or tools such as emojis or icons. If you wish to uninstall WhatsApp Plus due to an error in its activity, we recommend that you first verify that you are using the latest version of WhatsApp Plus, and if not, that you proceed to update it to the new version. 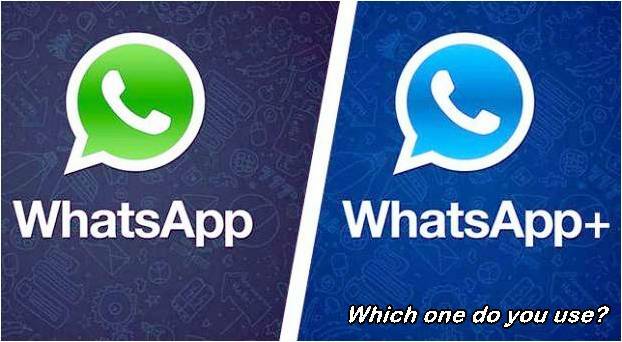 If, on the other hand, you want to uninstall it and then install the official version, you should know that the differences between WhatsApp and WhatsApp Plus are not so many, although it is true that the Plus version has several more functions and its performance is excellent, so you would be returning to a version with much less tools. How do I uninstall WhatsApp Plus on Android? Log in to your mobile device application, whether it’s a smartphone or a tablet. Extend the WhatsApp Plus menu and first of all go to the option that says “Chat Settings”. Within this option, check “Save conversations”, this way you can be sure not to lose conversations when uninstalling the app. Now exit the app and then go to the Phone settings. Search for the “application manager”. Locate the “whatsapp plus” application and choose the “Uninstall” option. 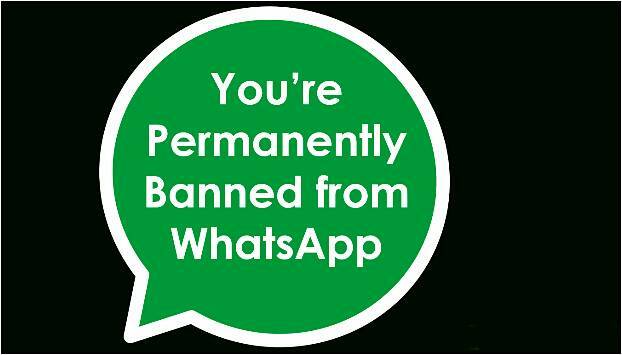 If you have followed these steps, WhatsApp Plus is now uninstalled from your mobile device. Get WhatsApp Plus 2019 now! With WhatsApp+ 2019 you’ll be able to enjoy the best messaging application, while you can customize it to your liking and use its great features. 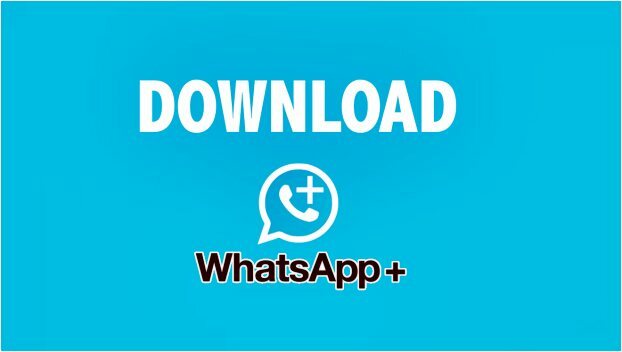 In this article you’ve seen, you’ve learned how to download WhatsApp Plus 2019 APK, and you’ve also seen the installation process. Do not hesitate and share this fantastic app with all your friends. What are you waiting for? Customize your WhatApp now with the WhatsApp+ 2019 app! One of the most sought-after versions of WhatsApp Plus on the web because of its style, similar to Android’s “Holo” interface (an interface that represents hologram designs), is WhatsApp Plus Holo. But… What is WhatsApp Plus Holo? Among the most recognized applications by XDA developers is WhatsApp Plus Holo, which aims to customize the world’s most popular original instant messaging application, WhatsApp. Not many mobile apps host such a large number of users, and it is in the top 3 of the most successful instant messaging apps worldwide. Still, one of the problems that WhatsApp users highlight and complain about is that the interface is only generic in design, identical for all mobile devices. For users it becomes a bit boring to always have the same design. For this reason, XDA application developers and designers found it accessible to create WhatsApp Plus Holo, a version similar to the original WhatsApp, but with the difference of having a HOLO theme, a perfect version to destroy the standards. Best of all? WhatsApp Plus Holo is free! The Holo version of WhatsApp Plus was interrupted by its developer because of the low number of downloads it had, so he spent more time modifying the original version of WhatsApp. However, you can always download WhatsApp Plus in its traditional version, which offers many extra advantages you won’t find in the original version of the app. WhatsApp Plus Holo will allow you to modify the interface of your WhatsApp, giving it a completely new look, which even complements the look of your Android device in a fantastic way. Afterwards, you can customize it with a variety of themes and emoticons that you can use in each chat. WhatsApp Plus Holo cannot be downloaded from Google Play, it is only available in .APK file format. Go to the following website: Uptodown.com (click here), there you can download WhatsApp Plus Holo. Click on the green “Download” button. Wait for the .apk file of WhatsApp Plus Holo to finish downloading. Transfer the app to your Android mobile device where you want it to be installed. Then just open it. Click “Install”, and WhatsApp Plus Holo will be installed automatically. Not having the official version of WhatsApp installed on your mobile device. If you have and want WhatsApp to uninstall, you can back up your chats from the settings panel to keep your conversations going. You must have a mobile device with Android 2.1 operating system or higher. 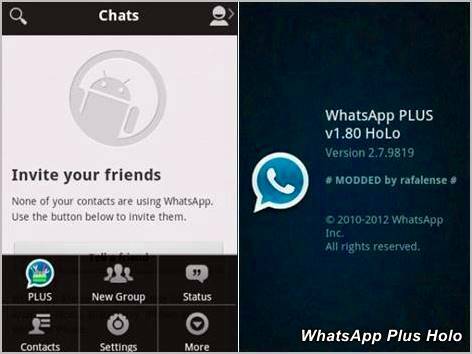 Don’t wait any longer, download the Holo version of WhatsApp Plus now!